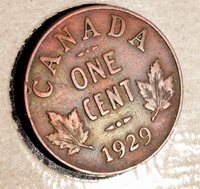 1951 Canada Penny One Cent Circulated One Coin From The Lot. 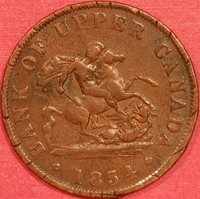 Canada 1920, 1929 & 1936 10 CENTS (3 Coins) SILVER! 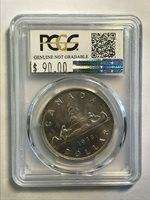 **1994**, Coin Mart Graded Canadian 50 Cent, **MS-63** Dot in "G"